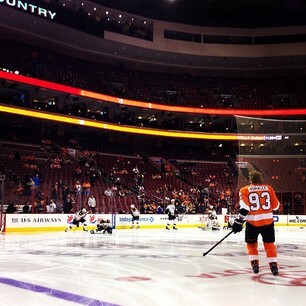 “@priincesss22 : @KevinWeekes I got the @NHLFlyers winning today, it's #ClutchTime ”Thx,will be a BIG game ! Finally got out of stuck elevator with @JackMcCaffery . 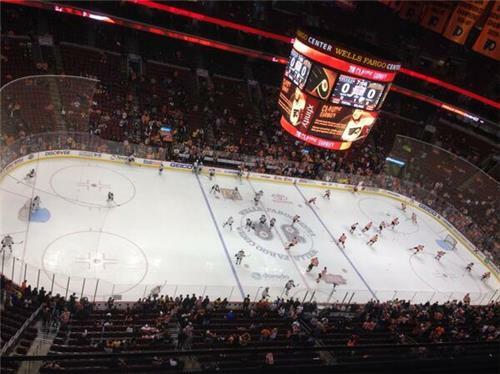 Flyers-Bruins scoreless with 15:45 left in first. GOAL!!!! 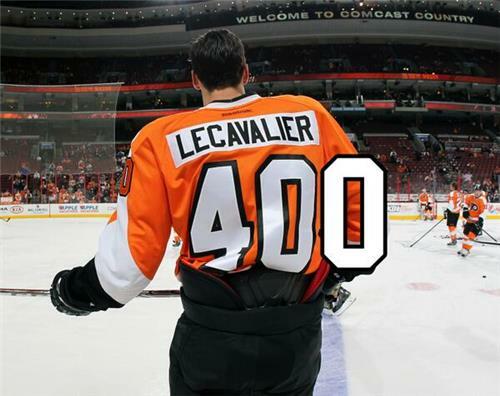 Lecavalier opens scoring with his 400th @NHL goal!!! Vinny becomes 90th player in NHL history with 400 or more. Fifth time this month the #Bruins have given up the first goal. They won three of those four prior meetings. Only L was to Habs. Sixth time this month the #Bruins have given up the first goal. They were 3-1-1 in previous five when allowing first goal. Only losses when B's allowed the 1st goal this month came vs Caps (3/1) and Habs (3/24 SO). Wins came vs. NYR (3/2), TB (3/8), FLA (3/9). 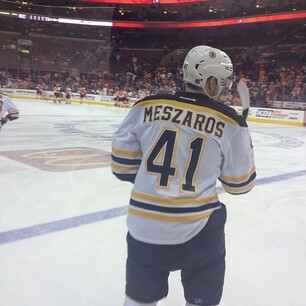 Bruins answer back with a goal from Meszaros. 1-1 with 9:17 to play in the 1st. Flyers allowed Meszaros to come in and score from high slot. Defense collapsed too much. Flyers traded Mez at deadline for a third-rounder; it could become a 2d rounder based on conditions. He has played great for B's. Mason knocks puck away from Krejci. Smith wins it. Flyers salavage a point. 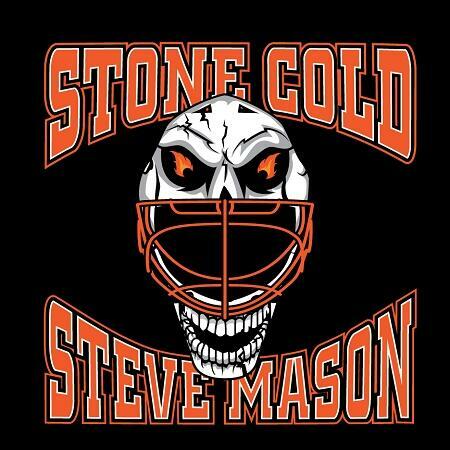 Smith for Boston.... goal. Bruins take the 3-2 win and #Flyers take the point.